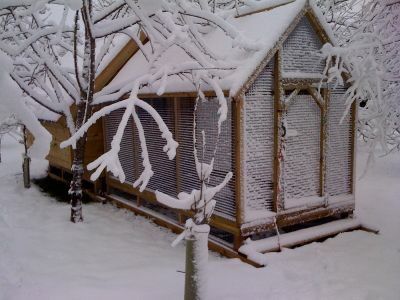 The Hargrave is a house for larger number of free-ranging hens. 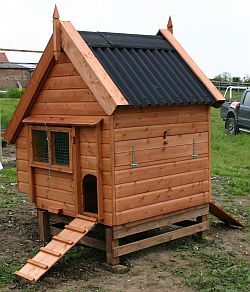 Features: The house is raised off the ground to prevent vermin from settling underneath. 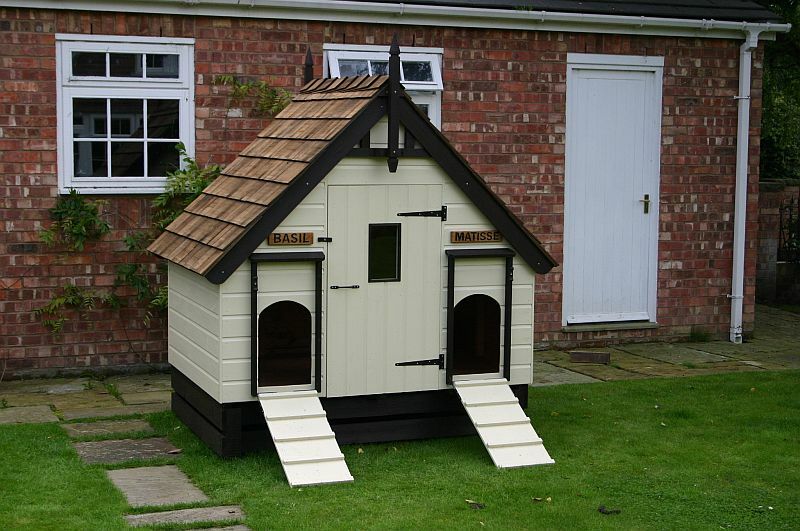 It is exceptionally easy to clean out - with the bigger models you can walk right inside. 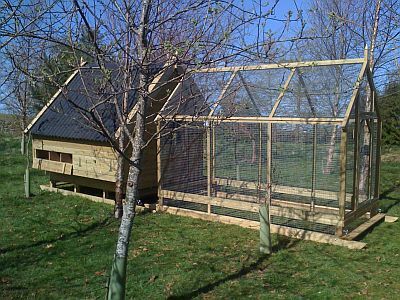 The whole nest box is easily removable for easy cleaning. 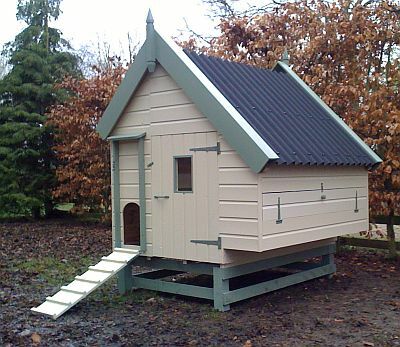 There are perches with dropping boards beneath. The pop-hole has a door which hinges down and acts as an access ramp. 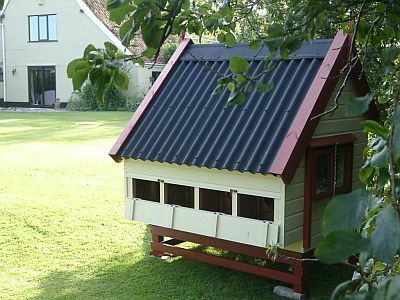 It has a ventilation window with a sliding window frame. In the larger models, the pop-hole can be fitted in either or both ends. 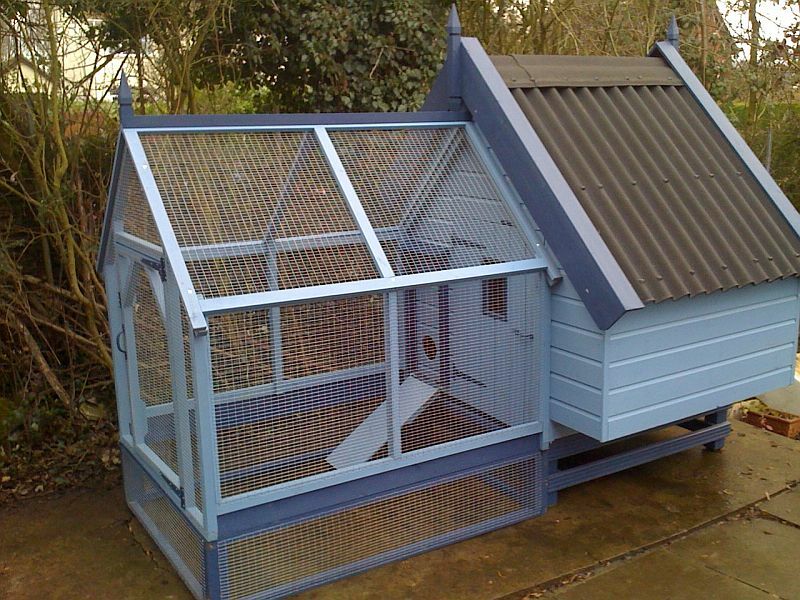 An observation window is fitted in the door and this hen house has a removable dropping board as standard. 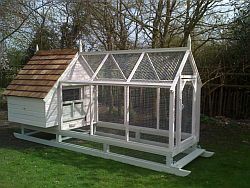 It is available in a range of sizes from 3’x3’ to 12’x6’. Runs are available for all models. 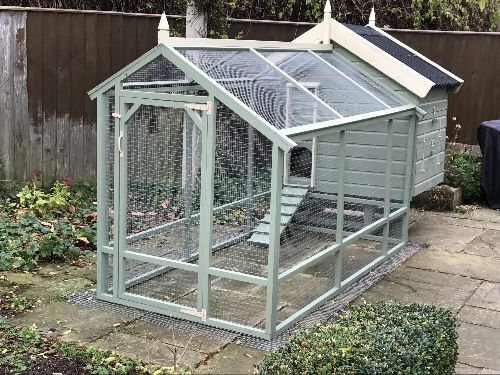 The whole house is fully tanalised (pressure treated) in light green for an extended life. 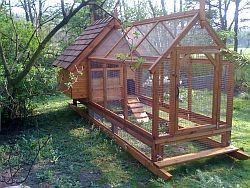 This new design is offered to house 6 large fowl or 10 bantams. 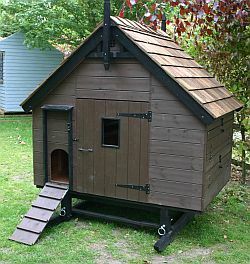 The standard version stands off the ground with a ventilation window, hinged pop-hole ramp, externally accessed droppings board and perch (both removable for cleaning). 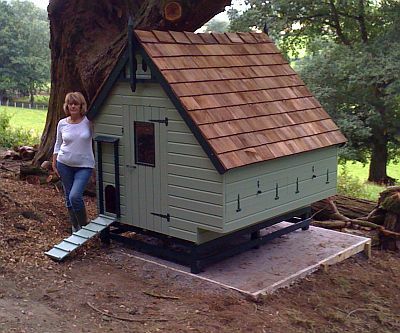 It has an onduline roof and a removable nest-box. 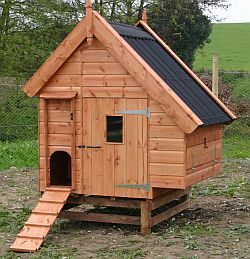 It is made from fully pressure-treated redwood. 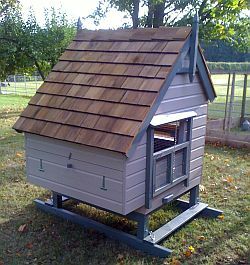 Options: Skids, cedar shingle roof, 6’, 8’, of 10’ runs, painting service available. Please contact us for prices. 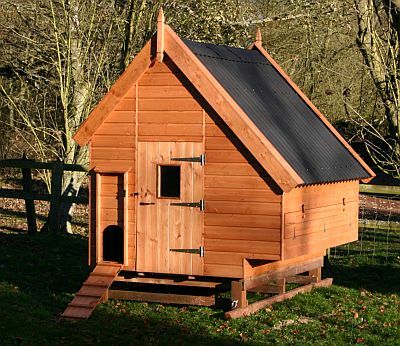 All models are fitted with an onduline roof. 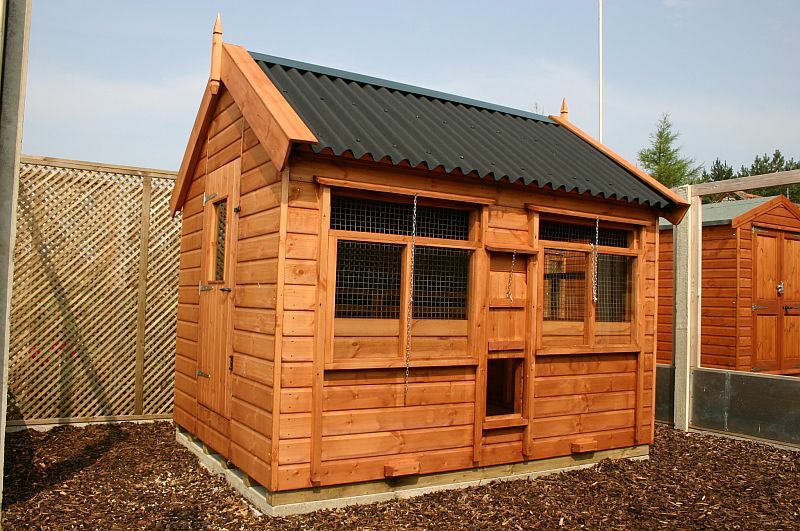 A cedar shingle roof can be fitted at extra cost. It can be fitted with a second pop-hole. 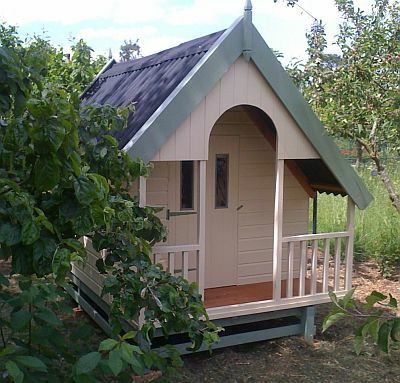 Can be painted in a range of appealing colours. Runs with skids are available. 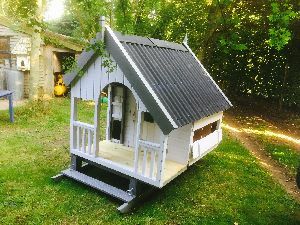 Skids can be fitted on all models to enable the hen-house to be moved. 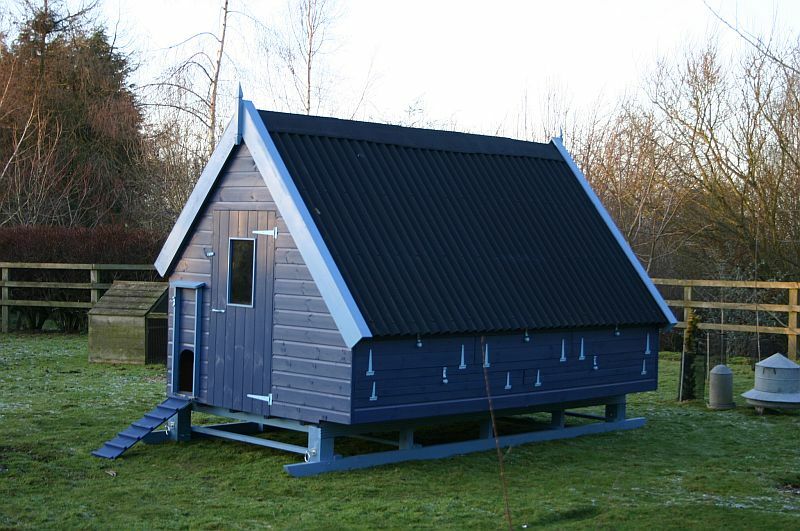 This option involves an extra large roof area and a larger base and floor. 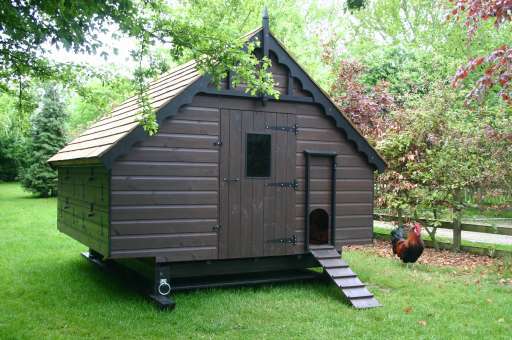 An excellent hen house for the large small-holder. 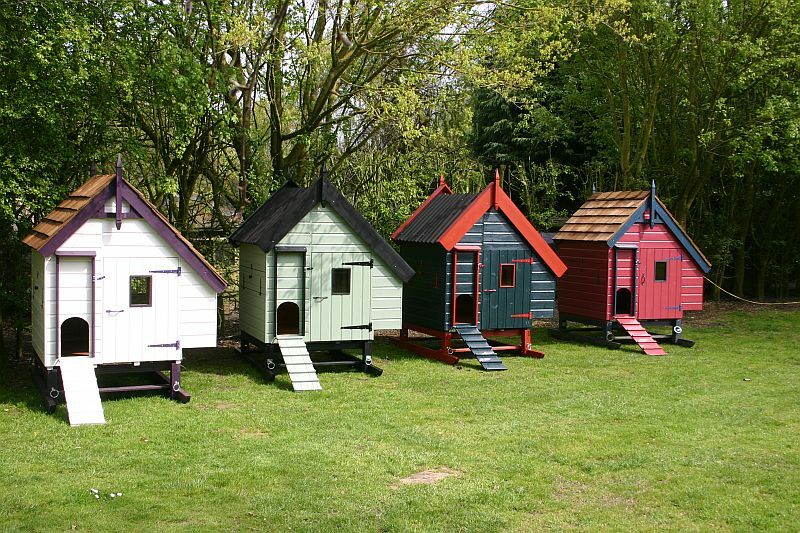 These hen houses can be tailored to your particular needs. We are always willing to listen to your requests and add your requirements into our designs.